works at Johnson & Johnson. beautiful boys, two that walk and one that soars: Weston, Hudson, and Logan Hulse. friends are active sharing the message of stillborn awareness, expecting mother education and legislative changes to gather data and enact change to save lives in cases of preventable stillbirths. Despite suffering from post-traumatic stress disorder resulting from her son’s death, Shilah remains committed to empowering women to be their own advocate during pregnancy and supporting women and families after loosing a child. 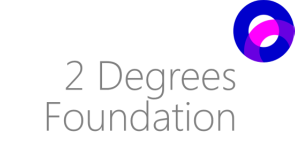 Shilah is a proud supporter of the 2 Degrees Foundation Fund and its mission of improving stillbirth outcomes in New Jersey.